With its twenty hectares in one single plot, Château La Vieille Cure already appears on a famous map of the Guyenne region, known as the Belleyme map, dated 1780. The vines grow on plateaux and slopes that are lucky enough to be turned to the south west. The estate runs along the River Isle at a height of 65 metres and not only drinks up the sun, but also enjoys good drainage. This situation makes the grapes that grow here generously ripe and in perfect condition. 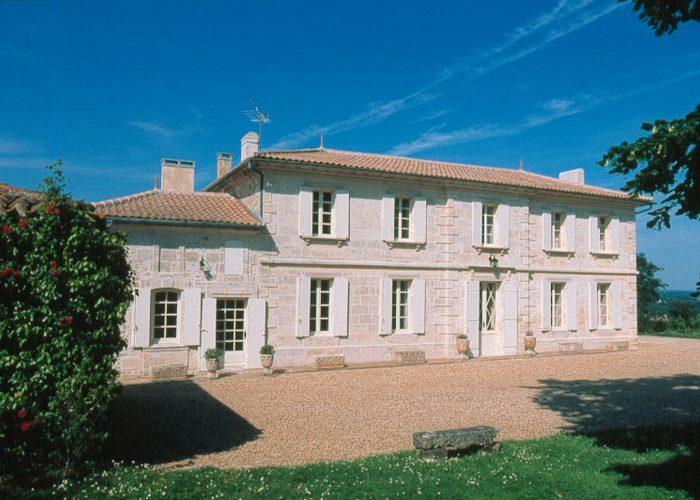 The property has been greatly renovated since it was bought by American friends at the end of 1986, who are great Bordeaux lovers and who recognised the exceptional potential of the estate. A large part of the vineyard was remodelled and replanted, without of course touching the very old vines of which one plot is a hundred years old. A new cellar was built with the latest equipment and aging in casks was begun. The overall objective of these investments was to make high quality wines capable of world-wide distribution. The new owners launched a sales program for the wines that are exclusively château bottled. Château La Vielle Cure used to be little-known, but is now exported to more than 20 countries. However the main market remains France, with Britain and the United States in second and third positions respectively. These improvements are still far from being complete. The owners are driven by perfectionism and intend to continue with their efforts to raise their wine to be amongst the highest ranking in the Libourne area. Wine Advocate 89"Soft, complex aromas of tobacco leaf, licorice, black cherries and black currants jump from the glass of this medium to dark ruby-colored 2008. This seductive, silky, mid-weight, savory, heady offering should be consumed over the next 5-7 years." Wine Spectator 91 (Top 100 2001)#61"Subtle aromas of mineral, berry, cherry and licorice. Full-bodied, with wonderfully polished tannins and a long, long finish. Amazing quality for this estate. One of the great buys of the vintage. Best after 2008. 5,000 cases made. (JS)"